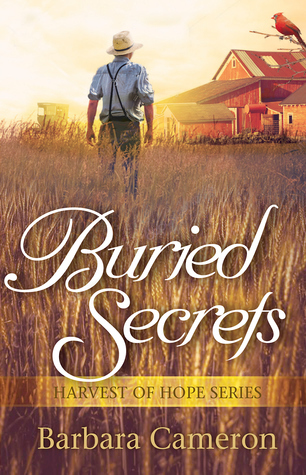 Buried Secrets is the second book in Ms. Cameron's newest series, Harvest of Hope. 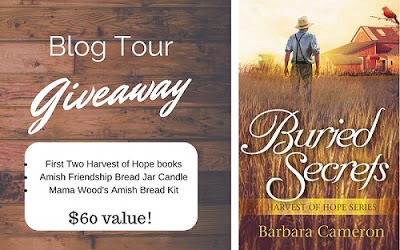 I had the opportunity to read the first one Seeds of Hope, which can be read as a stand alone, but I recommend reading it because it is a great book and you do learn some backstory behind Luke that I rather enjoyed. The Amish novel offers a mystery with romance interwoven in the story. The plot and the characters were enjoyable and it was a nice read. My favorite character was Daniel. He is super sweet. I think you will like him. Overall, this is a great book to add to your Amish collection. I give this book 4/5 stars. A favorable review was not required for my honest review. Thank you to the publisher for providing a copy in exchange for my honest review. Enter to win books, a Amish friendship bread jar, and an Amish bread kit. 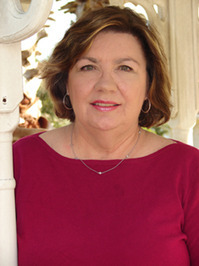 CBD, CBA, and ECPA bestselling author of 24 books (including new series upcoming for Abingdon Press in 2011/2012) including fiction and non-fiction books for Abingdon Press, Thomas Nelson, Harlequin, and other publishers.